So many creative businesses are run online these days. Whether it is used as an online shop, a marketing tool, or a portfolio, a good website is an essential tool for artists, photographers, designers, and makers from various creative backgrounds and disciplines. Using WordPress, this book takes them through the process of setting up the website. So many creative businesses are run online these days. Whether it is used as an online shop, a marketing tool, or a portfolio, a good website is an essential tool for artists, photographers, designers, and makers from all creative backgrounds and disciplines. This community of people, in particular, needs the design and function of their sites to reflect their individuality and style. 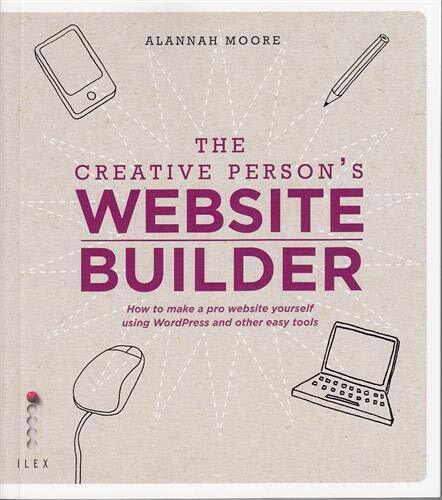 The Creative Person's Website Builder is the perfect one-stop shop for all their needs. Using WordPress, it takes them quickly and effectively through the process of setting up the website, giving them plenty of tips and hints to improve their style choices and to create the look they are aiming for. It also showcases a variety of approaches to creative websites, covering everything from the online shop to portfolio sites. And, to give the reader the best chance at getting good ratings, it gives them a guide to the latest in search-engine optimisation and social media techniques.